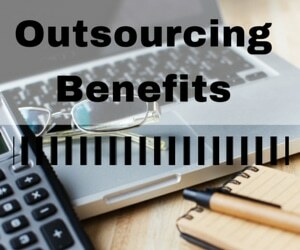 What is Outsourced Online Marketing and Its Benefits? How Long Does SEO Take To Have An Effect? Outsourced Online Marketing: What is it, and how can it work for you? 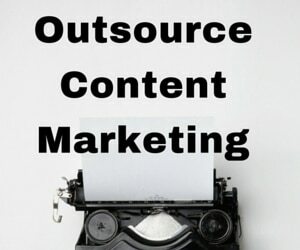 What is Outsourced Online Marketing? Marketing is a very broad term that, for the uninitiated, is often oversimplified. However, for senior executives we know how vital marketing is for creating an awareness of a company’s products and services as well as for generating revenue streams. Additionally, technology has afforded marketers the opportunity to communicate a precise marketing message to a highly targeted online audience along with the ability to then dissect data-driven metrics and analytics to assess results. In short, online marketing has evolved to becoming a refined science, and the bigger the company, the higher the probability that an inside marketing team will benefit from the detailed expertise of an outsourced online marketing agency that can assist with integrating these new technologies. To that end, the following is a brief discussion of what outsourced online marketing is, and how it can add to the growth and success of your business. Just as a company is traditionally more inclined to outsource their advertising and branding needs to a creative ad agency (rather than take on the costly overhead of hiring designers and art directors), the same is becoming true for other forms of marketing, especially online marketing tasks. With the advent of online marketing, there is a constant evolution of highly nuanced marketing tasks that may seem esoteric to even the most seasoned marketing professionals. Take, for example, the niche concepts of Search Engine Marketing (SEM) and Search Engine Optimization (SEO), which require an in-depth knowledge of highly-sophisticated algorithms. This level of detail is neither something that top-level marketing managers would want to deal with, nor should they. Senior managers within an organization are chartered with the responsibility of optimizing the resources in the quest for more business while putting all the right digital strategies in place to be best positioned for growth and market dominance. An outsourced online marketing team can oftentimes be a vital piece of this strategy. At its base, outsourcing inbound online marketing campaigns and projects enable the senior management team to be at once nimble and cost-conscious while engaging with leading edge online marketing professionals who make it their job to stay abreast of all the latest industry developments. As many marketing strategists understand, marketing is more than just promoting your business and coming up with catchy jingles and taglines. Agencies can research your target demographics, understand their online habits, and better align your company’s online presence with those habits. While internal marketing teams of small to mid-size companies may have a sense of who their audience is, they are unlikely to have the budget to procure the latest analytics technology for gauging trends and capitalizing on real-time consumer data. An additional important benefit of outsourced online marketing to the senior management team is flexibility. The number and types of projects that can be outsourced is practically limitless. With a dedicated internal marketing staff, senior managers are bound to the talents and core areas of the expertise of their team. Yet with the flexibility of outsourcing, you can commission an agency to rebuild your website, plan and execute your social media strategy, design your print and digital ads, draft press releases and white papers, coordinate your tradeshow materials, ghostwrite all your blogs, and provide data and metrics to assess the performance of your marketing campaigns with data. In essence, a company’s marketing efforts are no longer constrained by the finite skillsets of an in-house team. In order to position an outsourced online marketing agency for optimum long-term results, a company must first be willing to invest in a vision that is calculated in months or even years, not just a matter of days or weeks. Unlike traditional consulting agreements which may be project focused or centered on a narrowly focused set of tasks, outsourced online marketing can manifest into a full-scale suite of offerings that act as the core marketing engine of a company. In doing so, the senior management team has the ability to collaborate with professionals to conceptualize and implement the long-term strategic marketing plan of the organization. 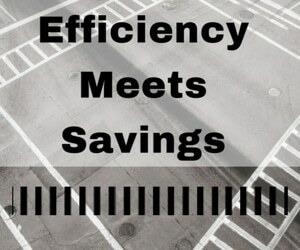 Of course, outsourcing any business activity requires a shift in mindset and focus. While some companies may resist the notion of transitioning from internal marketing efforts to external, it must be realized that such a change can result in increased revenue without the cumbersome cost of employee overhead. Such avoided overhead costs include payroll taxes, health insurance and retirement benefits, just to name a few. When initially engaging an outsourced marketing company, there may also be some employee resistance and insecurity. When the senior management team effectively communicates their commitment that the outsourced marketing agency is supplementing current resources, and that both groups are here for the long term to achieve long term objectives, then resistance wanes and both groups can work collaboratively. The outsource marketing landscape of today is vastly different from what it was even 20 years go. While it may still remain viable to maintain an active sales force to close deals, how that sales team is fed leads has shifted dramatically. Inbound marketing specifically has taken on an entirely new shape. Gone are the days of phonebooks and simply having a static website as the primary source of lead generation. Marketing in its current form has become much more about developing and distributing relevant content as a means of driving traffic and creating a buzz around a company or product. In order for consumers and clients to feel emotionally connected with a brand, there must be consistent, ongoing efforts by a company to remain top-of-mind and to build constant awareness of their products and services. To arrive at this point, a company must view an outsourced online marketing team as a vital long term resource for guidance, strategic implementation and continuous assessment of performance. Acting as a catalyst for growth, an external online marketing team can efficiently and effectively target new audiences for the express purpose of building market share. Typically, the biggest threat to the health of a company is their competition. While this may seem as an element beyond a company’s control, on the contrary, more often than not a company can direct its own destiny by continually out-maneuvering and out-marketing the competition. The resulting increase in market share makes it that much more difficult for newcomers to penetrate the market and for existing competition to match your growth. This, in essence, becomes one more reason that an outsourced team of online marketing professionals can assist your business in rising 2TheTop. Finally, it must be understood that outsourced online marketing is not just a specific campaign or project, it is a longer term strategy. It is an important new strategy for conducting business through creative and compelling marketing initiatives. The journey toward building trust and a high level of comfort through an external advisory relationship can take several months, but over the course of that time, a marketing agency is analyzing the nuances of the business and ensuring that each outgoing marketing message from the company aligns with brand strategy and remains consistent from one form of communication to the next. Over the long term, a continual process of assessment and adjustment will maximize the results of your company’s marketing campaigns. Co-Owner 2 The Top Marketing, Inc.
Daniel O'Donnell has worked in the internet space for over 20 years helping clients create a powerful web presence designed to reach targeted clients. As a search engine optimization expert Dan bases his actions on data and testing for safe white hat results that drive targeted traffic from search engines. His specialties include SEO, content marketing and SEM focused on reaching highly targeted market segments. Dan is a weekend triathlete, father, husband and football fan. Copyright © 2019 2 The Top Marketing, Inc. - All Rights Reserved.